Lacking whom I’m barely alive. Without which I can’t live. and contained no text other than the photograph – curious fragment of the everyday – presented below. 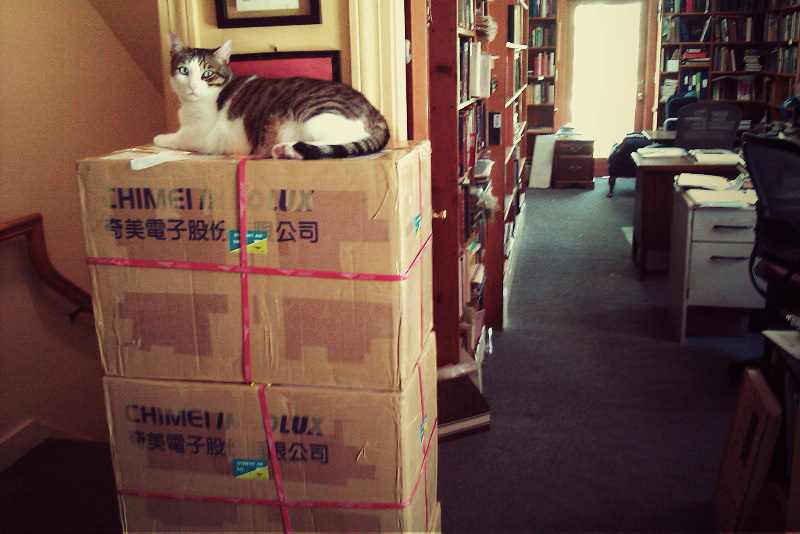 The boxes stacked in the foreground contain no fewer than 120 copies of Tarosophy: Tarot to Engage Life, Not Escape It by the British magus Marcus Katz, which was published by Salamander and Sons during 2011, to some acclaim. Meticulously packed in the 40 degree Celsius (approximately 104 degrees Fahrenheit) heat of Chiang Mai during April, the four cartons took the best part of a sweltering weekend to wrap, box and tape, and most of May to make the long journey from our office here in Thailand, all the way to Marilyn and Keith – and Freddie the cat – in Maine. 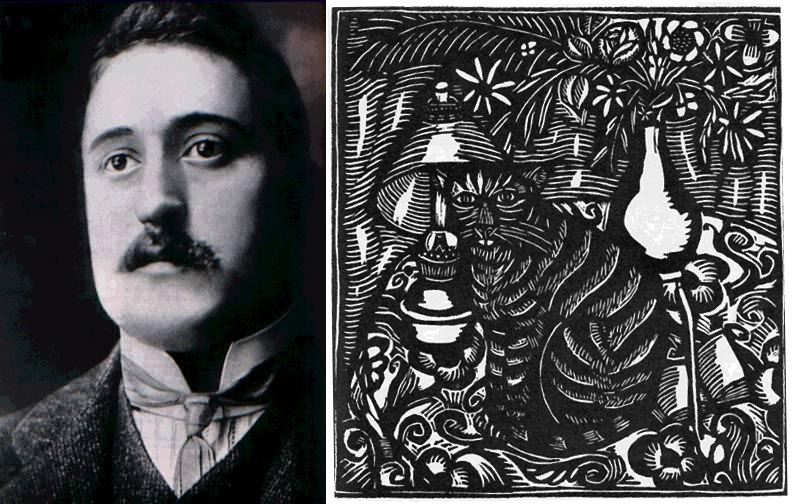 The cat thrives in the darkness for it is an occult creature, happier in the reflected light of the Moon than in the bright glare of the Sun’s rays … The ideal cat sits brooding over that deep well of hidden wisdom in every human soul. Freddie certainly appears to be both thriving and happy … surely it’s not too much of a stretch to see some of that ideal cat in dear Freddie, and more than a little of that deep well of hidden wisdom in every human soul encapsulated within 120 copies of Tarosophy? !